The Freedom Fighters Network Review - What Is It? Home » Internet Marketing & Product Reviews » The Freedom Fighters Network Review – What Is It? The Freedom Fighters Network Review – What Is It? The Truth About TheFreedomFightersNetwork.com Scam. Today we take a look at The Freedom Fighters Network System AKA TFFN which is owned by Jordan Shultz and Angela Moore and see if it is legit or not. We received an email from Beau Bridgewater about how well he is doing with so we decided to check it out. Originally The Freedom Fighters Network was a marketing system or a funnel to get you into The Empower Network similar to IPAS 2 and Pizza Boy Millionaire owned by Chris Campbell but now it appears this element has been dropped for some mysterious reason, maybe from complaints. We think the reason is that people felt deceived and were not interested in The Empower Network which was extremely popular but has died down a lot. Compensation plan and what is the cost? TFFN cost $47.00 per month after a seven day free trial. After the trial you pay the monthly fee and you will earn $30.00 per month on all your referrals. What are the products? As far as we can see you receive training to resell TFFN and there is an optional autoresponder for $29.95 per month which you can earn 15.00 per month commission. What is the hook? OK, here is where they are in our opinion taking advantage of newbies and non newbies alike. They say if you don’t make your first sale within 30 days they guarantee they will pay $150.00. Now rest assured that Jordan Shultz and Angela Moore have not become successful internet marketers by paying out a lot these guarantees and they don’t intend to. you must generate 150 unique ‘real person’ leads with our system capture pages using the lead generation strategies we recommend including Step 3 and/or Step 4 of the Getting Started Guide. 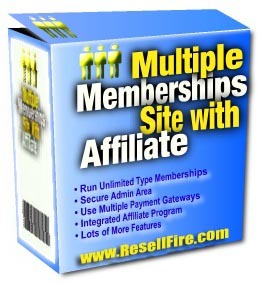 (A unique real person lead is a ‘real person’ website visitor who has entered their email address into one of our system capture pages with your individual affiliate ID). So as you can see receiving the guarantee is not going to be a simple ask and you will receive as you will have to provide proof that you followed the TOS. Is this a Scam? We are not in the habit of calling programs scam or a fraud and we are not going to do it now. But we feel like we have give you the information you need to make an informed decision. What do you think about The Freedom Fighters Network? 3 Comments on The Freedom Fighters Network Review – What Is It? I think this was a great review and I made a decision to join The Freedom Fighters Network and try it out and to my surprise I earn money from home when I did exactly what they told me to do and I think Angela and Jordan are great awesome people. & If someone haves a problem with TFFN then don’t join as simple as that. No it’s not so simple! If you try to quit before they charge you 47 $ you can’t, because it’ always error on the cancelling page in your TFFN acount. And if you try to ask how to quit on their Facebook site, they shut down your membership. Definitely spam! We have found other complaints as well. you read on that site. It is a shame to say that even BBB can be bought now.